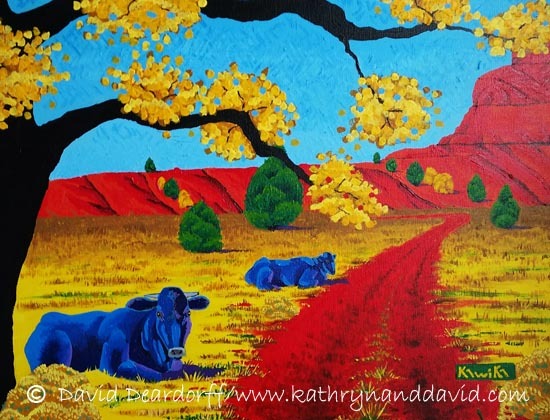 Land of Enchantment, 18 x 24 inches, acrylic on canvas. $499.00 for the original painting. We lived in New Mexico, the Land of Enchantment, for many years. It is truly a beautiful and enchanting land. The colorful rock formations near Abiquiu, NM, inspired the blue cows. Georgia O’Keefe lived and painted in Abiquiu for many years.